City Montessori School offers uniquely progressive 21st century schooling with emphasis on nurturing human values, character development and peace education, says Roshan Gandhi, Director of Strategy, City Montessori School, in an interview with Arpit Gupta of Elets News Network (ENN). What is the genesis behind City Montessori School? CMS is celebrating its Diamond Jubilee – the 60th anniversary of its foundation. The school was founded by Dr Jagdish Gandhi and Bharti Gandhi in 1959 with a focus on education for world peace. 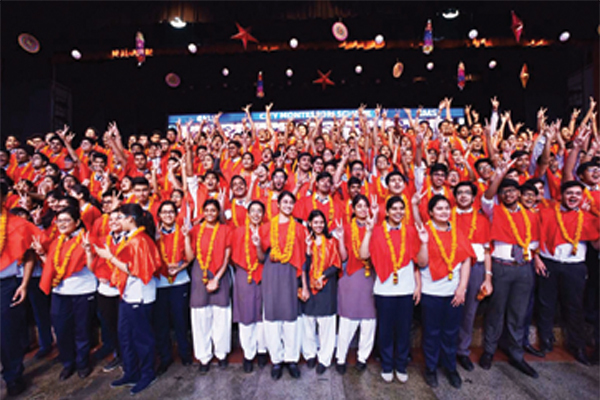 With nearly 57,000 students, the Guinness Book of World Records has awarded us with the title of ‘largest school in the world’ in terms of number of students. To inculcate best learning traits among such a huge number of students, what kind of best practices and innovations have been adopted by CMS? Educating and managing such a huge number of students is a tough challenge. In terms of administration, we have a strong support system, with a separate Head Office to reduce the administrative burden of principals and teachers. The Head Office takes care of all day-to-day operational activities. It helps teachers to focus more on teaching and learning. Over the years, CMS has always endeavoured to impart the best quality education and achieve the best results. Simultaneously, the school focuses on values education, and particularly on educating students to spread peace. The school focuses on inculcating the idea that all religions are one and people of any nationality should be treated equally for unity and peace across the world. In 2002, CMS was the first school in India to win UNESCO prize for peace education in recognition of the effectiveness of the school’s efforts in this regard. In recent times, CMS has adopted a lot of pedagogical innovations in line with and even ahead of global best practices. We always try to be a trendsetter in terms of education practices. Our teachers undergo a lot of relevant training, while a lot of innovation is currently happening in the technological sphere: such as the introduction of technology in all the classrooms of CMS, not only through interactive white boards but also through various EdTech pilot projects and initiatives to help teachers increase their teaching efficiency and students’ learning as well. The branches of CMS have successfully implemented changes thanks to the talented principals and teachers. Changing a conventional practice requires a lot of efforts. What are the common challenges that the Indian education system faces while adopting technology for various tasks? A new technology must be accompanied by many other things. For example, we need to train staff to use new technologies. A lot of hardware and backend support is required to implement the technology effectively. Most importantly, we have to ensure that teachers believe that the technology will benefit them in enhancing their teaching-learning practices. If it is forced upon people just because it looks good in a classroom, it is pointless to use such a technology. Teachers must feel that the new technology or practice is beneficial for their students; then only will it be easy for them to embrace the change. How CMS is supporting its students and teachers for technology-based education? First of all, they all have been persuaded that a particular technological tool is beneficial for enhancing teaching as well as learning. Secondly, we have conducted huge training programmes. We have a dedicated team of trainers at every branch as well as at the Head Office. Trainers conduct training in a very systematic fashion which includes (low-stakes) assessments. Apart from that, we have a full time dedicated IT- Hardware support team which ensures that all the technological tools are working effectively. What strategy has been adopted by the CMS to provide its students international exposure? We encourage our teachers to think globally. The school hosts 20-30 international events every year. These educational events are of different types. Some are in the style of Olympiads in various subjects – not only in traditional subjects like Maths and Science, but even in other subjects like History and English. Students from different countries across the world, from Brazil to Japan, come to City Montessori School to participate in these events. All the students learn from each other and gain a huge amount of international exposure in the process. Apart from that, we have other types of events, including the International Conference of Chief Justices. As the world’s largest school, we have a duty towards our students to improve their future not only through educating them but also by improving the world around them, and encouraging them to do the same. We want our students to think about making the world a better place when they enter into their professional life. We also encourage students and teachers to go abroad for summits and conferences. 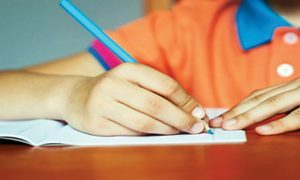 As your schooling was done in the UK, what are the practices of UK’s school education system you want to implement in Indian education system? There is a lot that can be learnt both ways. It is not right to say which system is superior and which one is inferior. In the UK, in the past few decades there has been a greater emphasis upon nurturing students’ wider skill development such as cognitive, analytical, critical thinking, organizational, team-work, and leadership. It is very much part of the curriculum over there. This is one of the most important developments that we can bring into the Indian education system — there may be many challenges, but it can be done. What is your plan for CMS keeping in mind its legacy? As a team working under the guidance of our founders, together we are planning to continue to strive to provide the best quality of education that we can. Several recent developments are a testament to that, such as the introduction of technology and training to enhance pedagogy, more effective ways to impart meaningful moral and values education, strong emphasis on career counselling and psychological counselling, introduction of Western Classical Music education, initiatives to get young children to read more, major infrastructural improvements, great leaps forward in administrative and operational efficiency, and much more. When it comes to introducing new things, we are only interested in those things from which a positive impact on teaching and learning is certain. For that, we are doing a lot of internal research and development so that all new initiatives are evidence-based.